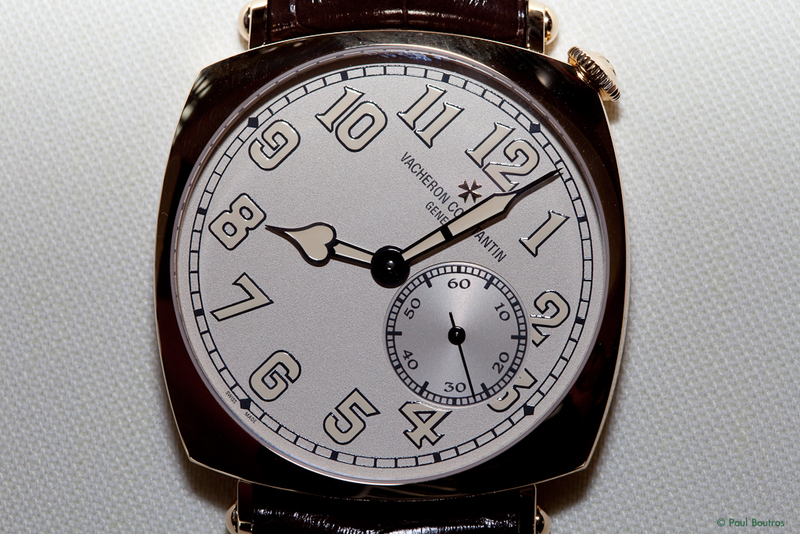 This is the second of two variants of Vacheron's original driving watches produced for the American market. One of only 12 examples made beginning in 1921, this version was made for left-handed wearers. The first version was produced beginning in 1919 for right-handed wearers, with the crown positioned instead at 11 o'clock. 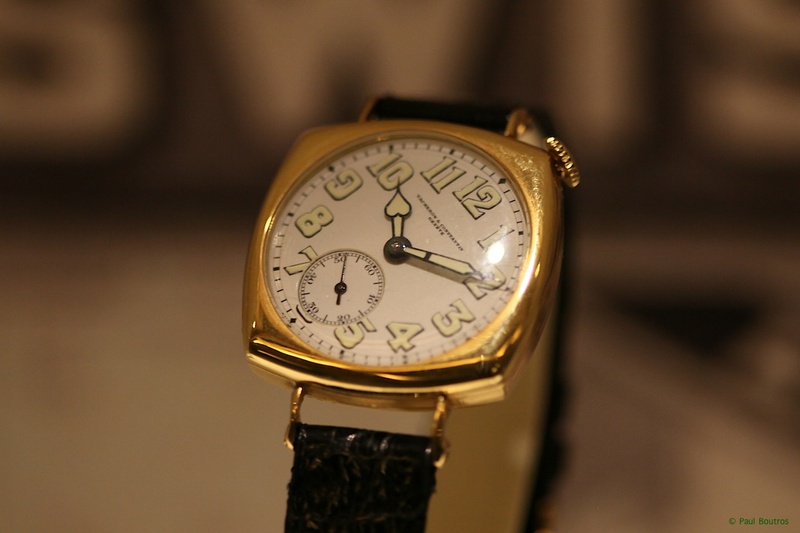 The case is 18 karat yellow gold and measures 31 mm in diameter. The case size grew to 40 mm and the seconds sub-dial was re-positioned, but overall, this 2011 version is a wonderful re-interpretation of the original.